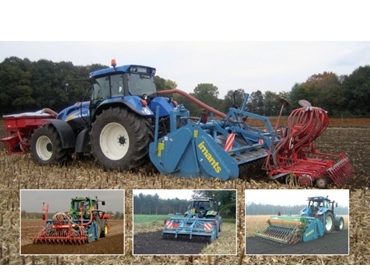 The 47 series spading machine, from Ag Machinery Specialists , has been proven to save 22% fuel when compared to the use of a plough, by a recent study at Wageningen University. The revolutionary spader was also shown to provide 56% more capacity. The spades work on a rotary concept which works to prevent damage to the soil as well as incorporating seed bed preparation and cultivation. The spading machine also benefits from an optional tow frame for pulling a carrier device and an accumulator with gauge for reducing ground pressure. The spader is a power take off (PTO) machine. This method enables the machinery to literally power through the soil.